April 7: Saddened by the April 6 unexpected death of Mike Starr, age 69 . See the In Memory link. March 27: For those of you who will be travelling to W-Salem for our Oct.19 reunion and will have a need for a hotel ----please let me know ASAP. The furniture market will be going on, and hotels are already being booked. 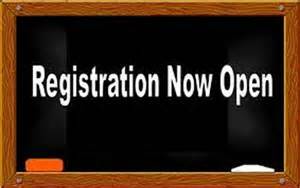 Please register early!!! Open the registration link @ the top of the homepage. April 14, 2019: Congrats to Pat Russell on her March 29 retirement after 39 years of dedicated service to the bank. It’s hard to say good-bye to a great leader and business partner, but it makes it much easier knowing that the person is entering an exciting new phase in life – retirement! Jerry Bates, Manager of the GPS Regulatory Specialties COE, is retiring February 2019. He began his journey in 1985 with the Wachovia Finance group in Winston-Salem.. A few years later, Jerry transferred to a Payroll Manager role leading the Payroll Tax and Accounting team, and he continued in his Payroll career for the next 30 years. Jerry’s reputation as the consummate professional, providing complex and critical tax leadership that affects all of our team members located in 4,400 tax jurisdictions around the world, is well deserved. He has experienced many changes during his career of over 32 years. 1/7/19 Congratulations to Shirley Clements (Atlanta) on her Dec. 2018 retirement after 47 years of loyal service. Congratulations to Vickie Perrell on her 12/31/18 retirement. Vickie joined the bank in 1973. 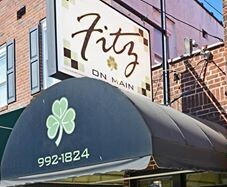 March 19 What a wonderful surprise to see retiree John Bell in Fitz on Main today. 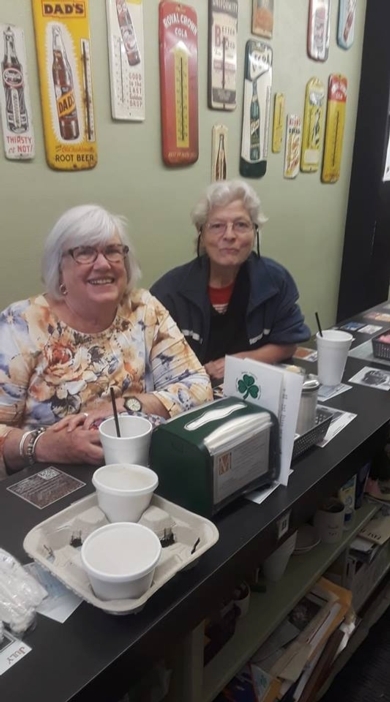 April 4, 2019: Had a lot of fun chatting up a storm with retirees Martha Johnson and Gayle Slate. 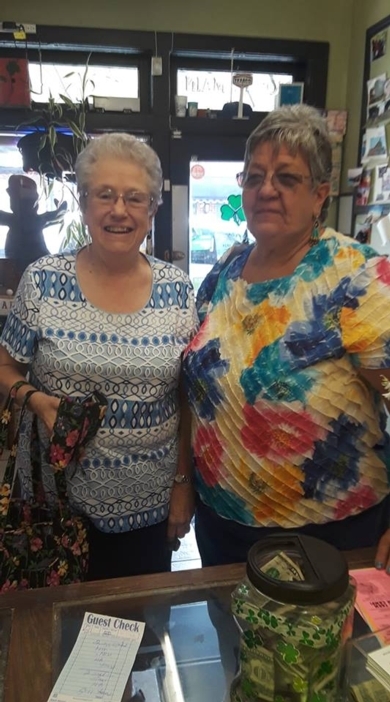 April 11: Phyllis Bristow and Patti Kiser visit Fitz somewhat frequently.......I wouldn't let them leave without yet another photo op! 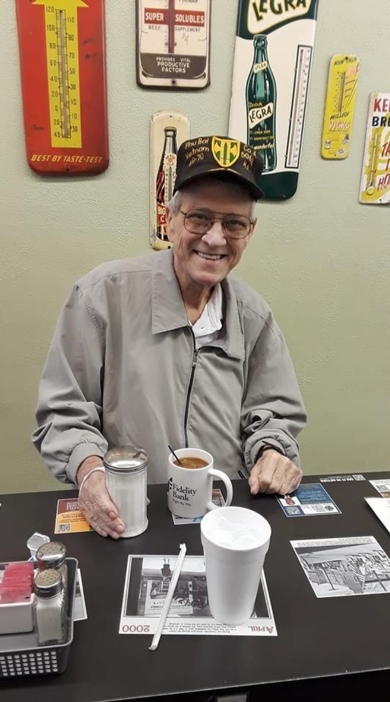 March 20: Retiree John Stonestreet, age 71, passed away March 13. See the IN MEMORY link. March 14: Sharing more somber news. Rhonda Adams, a 25 year bank veteran, died unexpectedly Moday, March 11. See the In Memory link. March 6: Peggy Curlee, wife of retiree John Curlee, died March 4.
: Be sure to welcome new members....and/or watch for profile updates from existing members. View the profile update box (right of home page) ..names displayed represent either a new member, or someone having updated their profile. 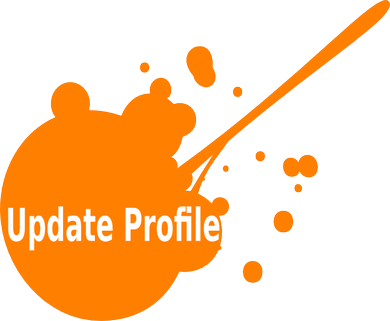 March 2019: Have you updated your profile recently? No? Under Member Functions (left side of the homepage) - you can submit changes via the Edit Contact Info and Edit Profile links. 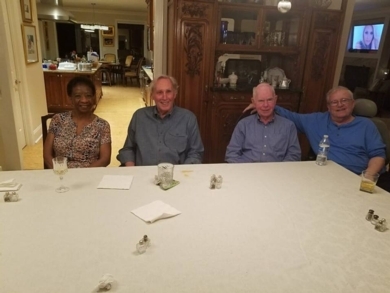 Veronica Black, Dave Cottterill, John Ferguson and Walt Leonard at Walt's SC home. Thanks to Veronica for sharing this great picture. Please take a few minutes to review your profile for any changes that you might want to make.